Yakuza 6: The Song of Life is a game about procrastination. It casually weaves a steady stream of distractions, side alleys and brief encounters between the unfolding fabric of an overblown blockbuster flick. Out of context, you’d be forgiven for expecting a sense of whiplash given how easily the game lets you jump between stopping a domestic terrorist to belting out several verses at the local karaoke bar, but it’s here, hiding among the moments of self-awareness and parody, that the Yakuza series has truly found its stride. Picking up from the ongoing plot of the last five games, Yakuza 6: Song of Life sees mainstay protagonist Kazuma Kiryu sucked back into the shady world of Japan’s organized crime families after his adopted daughter is involved in a suspicious car accident, leaving him to care for a mysterious child as he hunts for answers. Pegged as the final swansong of Kiryu’s tale, Yakuza 6 brings us an older, more weathered version of Kiryu, of a man who has seen one too many fights and desperately longs for the quiet life with his family that he is so regularly denied. It’s an interesting contrast to the honour-bound scrapper seen in the last few games, but one that feels deserved. It’s heartening to see the culmination of his past, of the scars and heartache he’s gathered over the years, as he slowly settles into old age as he dispenses wisdom and guidance to those that look up to him. Even when the game is at its most absurd, when global conspiracies and explosive helicopter car chases threaten to overshadow his journey, Kiryu’s character never fails to shine through. While the main plot twists and turns every few steps, it never really demands your attention. As you stroll through the bustling alleyways of Kamurocho or the sleepy seaside port town of Onomichi, you’re always given room to breathe and tackle things as you see fit, giving you time to explore any number of side activities. These can come in any number of forms, from trying to rebuild a cat cafe, to spending time in batting cages or arcades. The selection is varied but it’s a shame that there isn’t nearly as much choice compared to previous games, as regular time sinks like UFO catchers failed to make the cut this time around. Thankfully there are still plenty of substories—self contained side quests that have you interacting with the citizens around town—and it’s here in these narrative offshoots that Yakuza 6 fully leans into its own over-the-top nature and runs with it. From hostile phone apps that want to destroy all of humanity to obnoxious personalities causing trouble to get internet fame, these stories are some of the most interesting yet, and often parody the current cultural climate of modern day society. It wouldn’t be a Yakuza game without regular fistfights happening on every street corner, and Yakuza 6 is no exception. As you make your way around town, roaming gangs of thugs will often try to beat you down. In an attempt to streamline this process, fights now happen right then and there directly in the game world, which is a nice improvement given how often Kiryu gets into a scrap. The combat itself has been altered too, with multiple fighting styles ditched in favor of a single brawling style instead. Combat feels much faster than before, and much more dynamic given how encounters can spill out across entire streets, and the added focus on physics gives Kiryu’s moves a weight to them that is satisfyingly brutal as enemies bounce off of obstacles and each other. The changes aren’t all for the better, however, as enemies now feel quite stale and repetitive. Attacks often come simultaneously, and after a few fights you’ll soon fall into a routine of swinging enemies into each other just to manage the crowd as you slowly whittle down each enemy’s health bar. The game offers a handful of skill upgrades to alleviate this, but they don’t do much to mix up the way most fights unfold. What makes Yakuza 6 so compelling is that it succeeds in making the insignificant seem significant. It focuses on the minutiae of the world, from the detailed shop interiors that serve no purpose other than to ground you in the setting, to the nearby citizens who go about their daily business as anarchy unfolds around them in your wake. But perhaps the greatest feat of all is that the game trusts you, the player, to find it all yourself. 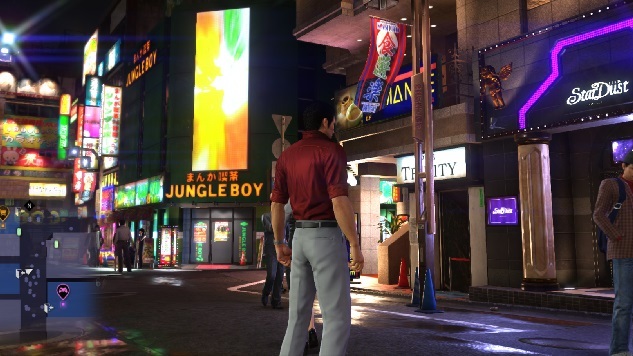 By refusing to hold your hand and lead you from A to B, it gives you room to explore, to procrastinate and breathe between story steps, and it’s in those moments of respite that you’ll find the best of what the Yakuza series has to offer. Yakuza 6: The Song of Life was developed and published by Sega. It is available for the Playstation 4.